"Real love is about loving and letting yourself be loved. It's harder to let yourself be loved than to love. That is why it is so difficult to come to the perfect love of God. We can love Him but we must let ourselves be loved by Him. Real love is being open to the love that comes to you. The love that surprises us. If you only have information you are not surprised. Love surprises because it opens a dialogue of loving and being loved. God is a God of surprise because He loved us first. God awaits us to surprise us. Let us allow ourselves to be surprised by God. Let us not have a computer psychology that makes us think we know it all. All answers on computers - but no surprises. The challenge of love. God reveals himself through surprises." How has/will Pope Francis impacted/influence your life esp after his visit? And thanks that we did get it even if it was from the 12th floor! Not to mention that we also went down and waited in the crowd, not minding being drenched in the rain while waiting to catch another glimpse - albeit fleetingly - of Pope Francis! 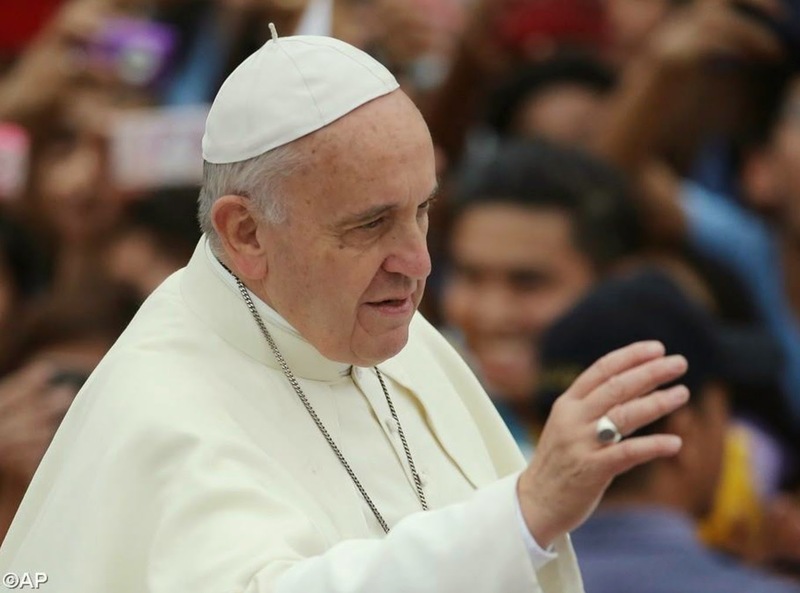 Thank you Pope Francis for visiting the Philippines! Because of the rains and the multitude of people at Luneta, we opted to stay in our room at the Pavillion. We feel blessed by the Pope! Nicole on Jimmy Fallon - Nakakatawang Nakakakilig! but this is seriously AWKWARDLY CUTE! In Tagalog nakaka-kilig na nakakatawa! When sparklers fail just blow the candle :) Happy Birthday Ma! January 1, 2015: What's your first entry?